I have been buzzing around like a bee to get ready for vending at Dover Comic Con tomorrow. Thus I've been too busy to update my Flower Photography Shop or comment on as many of your blogs as usual. But, as always, I appreciate every single one of you, even those hiding in the shadows, who stop by for Flower Friday. I took today's photo of a pretty flower bed of Echinacea I couldn't ignore when walking back to my car after a doctor's appointment in Lewes, Delaware. 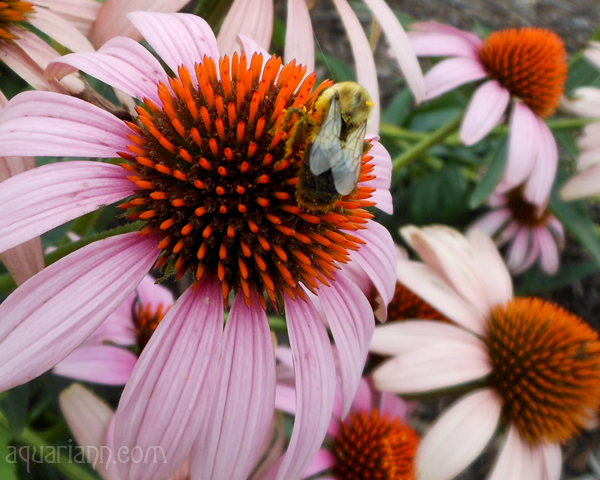 Apparently they're commonly called purple coneflowers, but they sure look pink to me! "Bee"autiful!! Have a blast at Comic Con!! 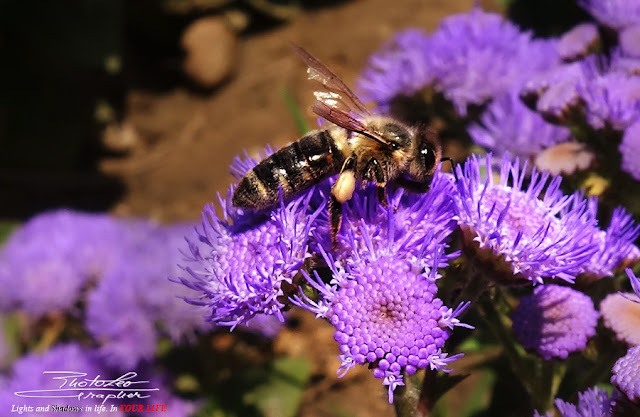 You always have lovely flower pictures, today, I clicked to view the bee, it is wonderful!!! I always love your photos! So pretty! I had no idea that was a cornflower. Then again, I don't know plants too well. Your image of it is beautiful! Such a lovely shot with the bee on it! That's pretty close..